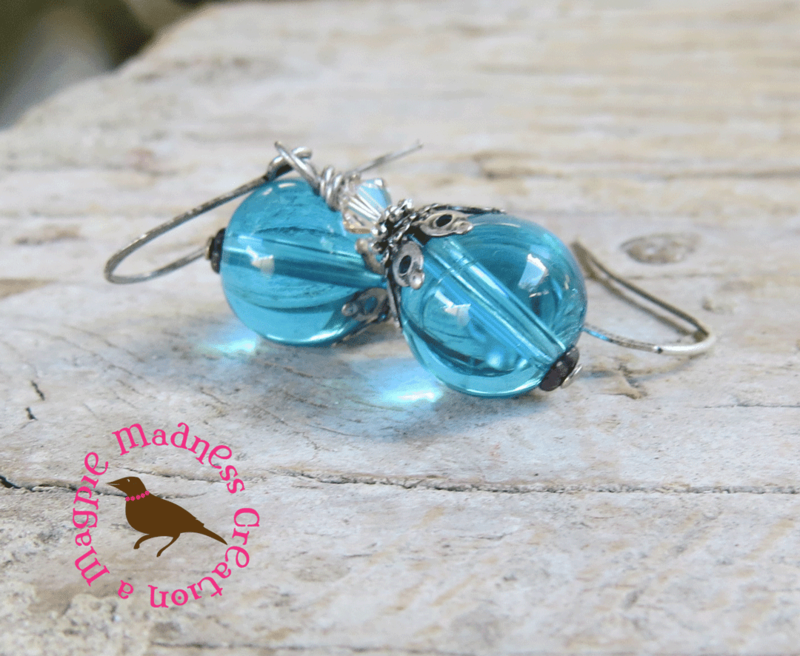 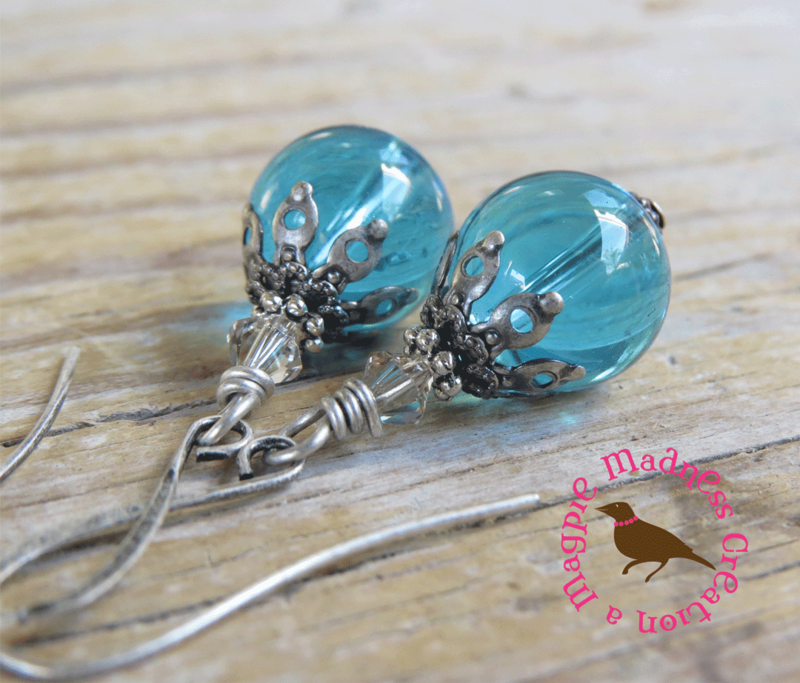 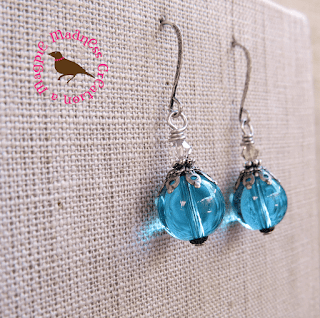 These are the most beautiful aqua/light teal blue transparent sun-catching earrings. 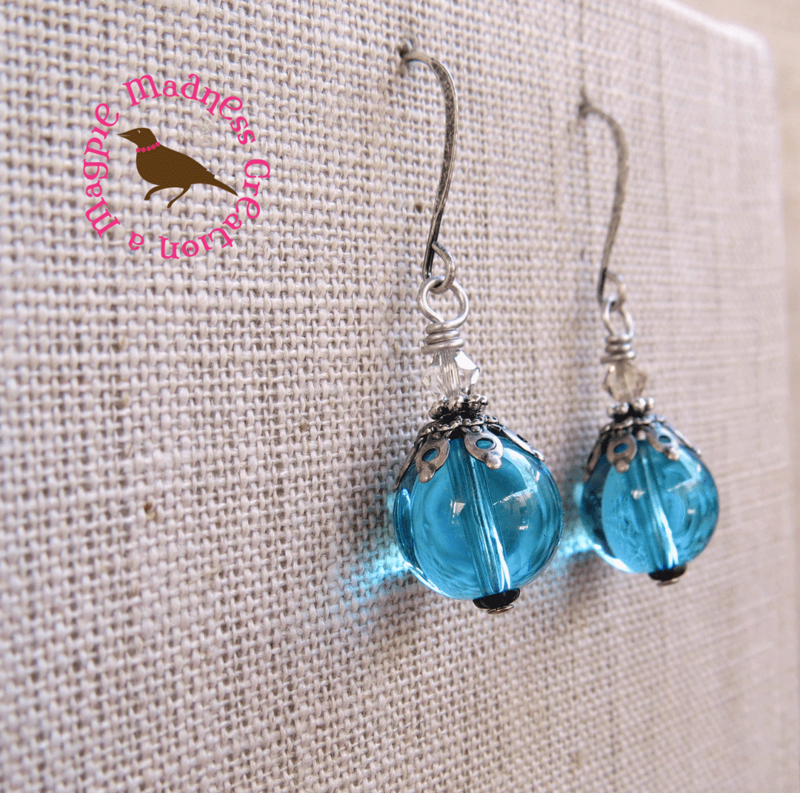 I created them from 12mm translucent glass which glimmers in the lights. 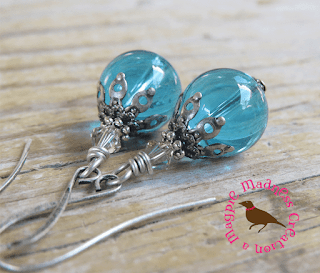 Layered with antiqued silver bead caps, topped with a Swarovski crystal bicone, and hung from your choice of antiqued silver plated kidney wires, french hooks or leverback wires. The wired bead hangs close to an inch from the wire you select; from a 1.5" kidney wire, it will fall a 2.2 inches. 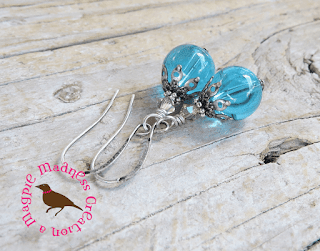 Check them out here on my Etsy shop and take time to look at my over 700 hand made artisan pieces.